According to Cheri Mullenix, a trainer for Wolff Systems on sunlamp products, it’s usually the result of the sunbed design – specifically, the distance between the lamps in the bed. Often tanners develop white patches of skin that don’t tan as well – particularly the shoulder blade area and just above the buttocks. As the body reclines on the surface of the bed, blood flow to those areas is restricted. 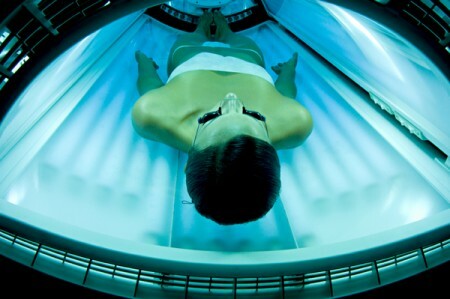 Blood carries oxygen which is essential to the tanning process. Both these effects can be minimalized by shifting the body periodically during the tanning session. Genetics: The melanocytes in that particular area may not be efficient at producing melanin (brown pigment). Common Fungus: It’s harmless; but, never the less, living on the surface of our skin. It absorbs the UV light which would normally penetrate the skin. The fungus is not the result of tanning; however, it becomes much more noticeable once the tan develops. Certain Medications: Can cause undesirable reactions when combined with UV exposure. For example, birth control pills can cause blotches and uneven skin pigmentation. Be conscious of the medications you are taking and, if you have any questions, please consult your doctor. Thanks to Cheri Mullenix’s article entitled: “Let’s talk about stripes, white patches & white spots.” in the February 2013 issue of Island Sun Times which was instrumental in answering the above question.